The ladies in WMU has set a church goal of $2,000.00 for the Annie Armstrong Easter Offering for North American Missions. To date we have collected $2,594.00 towards this offering. Due to this being Easter Sunday we will dismiss our evening service and activities on April 21, 2019. We pray that each of you have a safe and Blessed Easter with your family and friends. This Mother’s Day we are going to have a time of dedication for babies through preschool age. Any parent who would like to participate can call/text Bro. Billy at 502- 338-3070 or email at drbillycompton@gmail.com by Sunday, May 5, 2019. 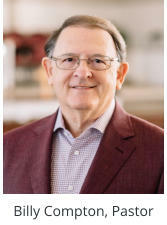 A motion was made at the MHBC Business Meeting on April 10, 2019 by the Vision 20/20 Committee to start the first phase of the process to expand the church parking lot at an estimated cost of $19,230. As per the MHBC Constitution and By-Laws (Church Finances, Section 4): "A motion to make a purchase with a cost greater than $10,000.00 but less than $25,000.00 may be made at any regular business meeting. It will require a second but the final vote cannot be taken until the next regular business meeting. 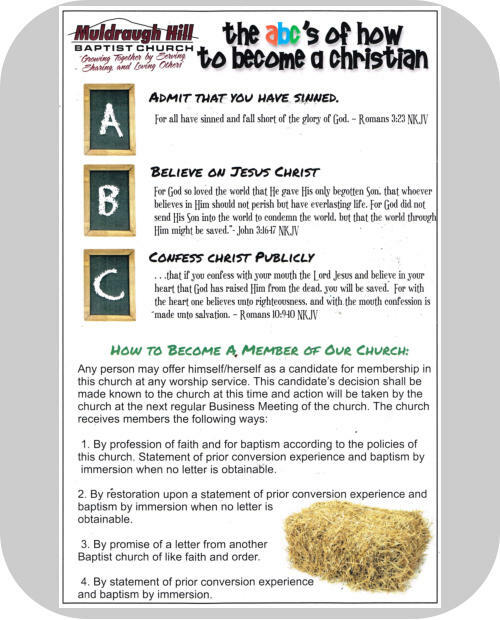 During the time between the meetings, an announcement shall be placed in the church bulletin describing the purchase. " The final vote regarding this motion will be taken at the Business Meeting on May 8, 2019. Note: There is a PowerPoint presentation available for your viewing online, as presented by the Parking Lot Expansion Sub-Committee of the Vision 20/20 Committee at the Business Meeting on April 10, 2019. Click the picture at the left to view the presentation. Your questions may be presented to Josh Veatch, Donnie Veatch, Nick Cobb, Bob Moore, and Bobby Chappell. 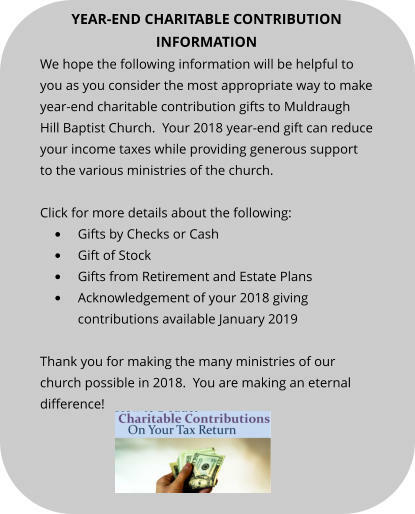 At the Business Meeting on April 10, 2019, a new document was adopted called the “Muldraugh Hill Baptist Church Designated Fund Request”. Any Church member, family or other person(s) wishing to make a financial contribution to the church that creates a new designated fund that has not been previously established, must adhere to the following guidelines for the creation of a new designated fund. Note: The document can be obtained from the church secretary or online on the Documents Page of the church website. 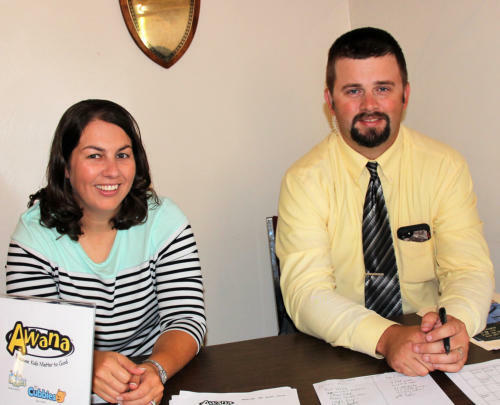 A new Sunday school class will begin on Sunday, April 28th at 10:00 A.M. with teachers McKenzie Hardin and Mark Carney. This will be a Coed Group that will meet in the new fellowship hall. If you are not presently attending such a small group you are invited to join the new venture. 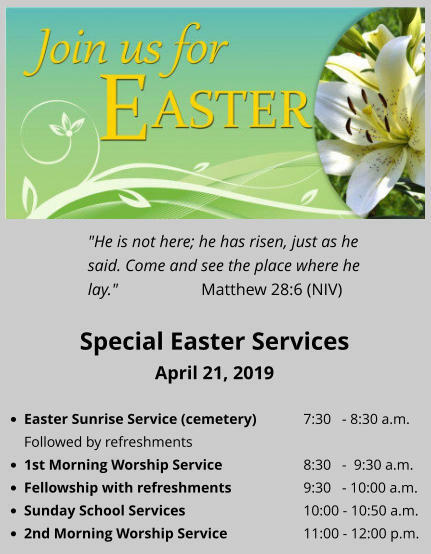 On Easter Sunday, April 21, 2019, at 7:30 A.M. we will have our Easter Sunrise Service in the cemetery across from church. Following this service we will also be serving refreshments. See the rest of the special Easter Sunday schedule at top right of web page. The Monthly Business Meeting will be on May 8, 2019 beginning at 6:30 p.m. Your attendance is encouraged as important decisions are made for our congregation and facility. There will be a WMU meeting on May 14, 2019 10:00 A.M. The Safety/Security Team meeting will be on May 30, 2019 at 6:00 p.m. Mckenzie Hardin will be hosting the meeting at her house. Hope to see you there. We will be updating the Security Team Schedule for April and May. The MHBC Youth are going to Crossings camp this summer! The dates are July 8-12, 2019! Parents/students, if you want to know more about this awesome place, go to www.gocrossings.org. Let us know if you want to go have a blast with us this summer! During the Sunday Morning Worship Service, there is a time for young children to assemble in the pews near the pulpit to hear a message from the pastor, another adult, or the Muldraugh Hill Baptist Church puppet ministry. Then those children, age 5 and under, with the permission of his/her parent or guardian, may go downstairs to a special “Children’s Church” class for fun activities while under adult supervision of our scheduled “Children’s Church” leaders. 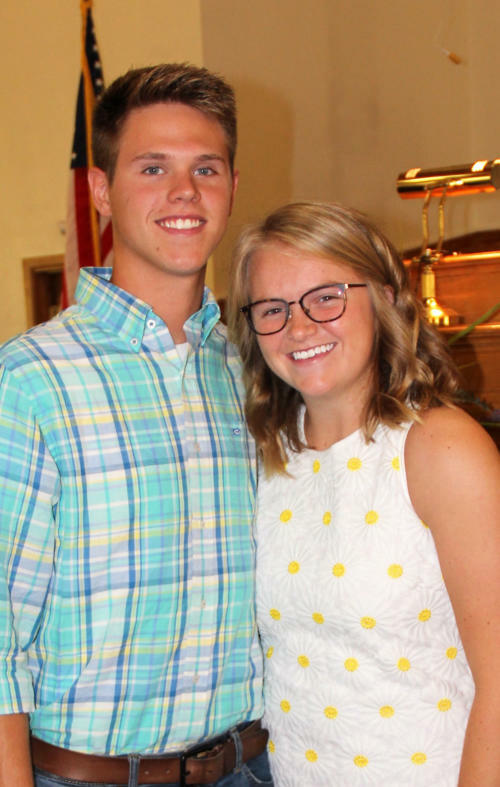 (See schedule) MaKayla Sabo and Caden Wheatley are MHBC Co-Youth Ministers. Please give them your support and prayers as they provide leadership for our youth. Please help them to reach out to our youth by inviting youth to participate in this program every Sunday evening at 6:00 p.m. and Wednesday evening at 6:30 p.m. Note: Makayla and Caden will be returning to Teshie, Ghana May 7-23, 2019 with a Campbellsville University team. As a couple, the total cost of the trip is $5,000. Your support will be appreciated, whether with prayers or through financial support as they return to provide help for the Ghana orphans. AWANA Children's Ministry (ages 2 to 6th grade) meets on Sunday Nights. The evening activities include music, scripture, games, lessons, and lots of Christian fellowship. Contact the Directors, Josh and Jessica Veatch, if questions. You are invited to come join our Sanctuary Choir here at Muldraugh Hill every Sunday. 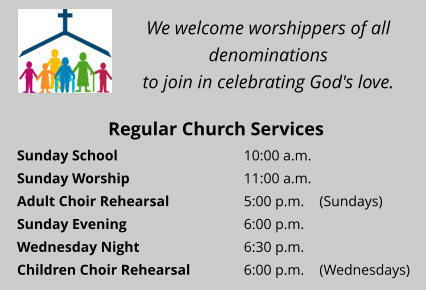 We have rehearsal on Sunday evenings at 5:00 P.M. in the church sanctuary. If you have never participated in singing with a choir now is an excellent opportunity for you to start. I hope that you will give it prayerful consideration on becoming a member of our church choir. I am looking forward to working with the choir each week as we come to praise our Lord with song. – Lidiane Macedo The Muldraugh Hill Baptist Church Children’s Choir (ages 5 to grade 6) will meet every Wednesday Evening from 6:00 P.M. to 6:30 P.M. If you have any questions please see Lidiane Macedo, Hope Dougherty or Kellie Wise. Kaylene Poff is taking care of sharing our prayer concerns during the week. 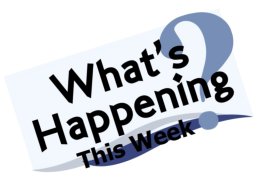 If you want to be included on the email list that gets the prayer concerns/updates or you want to add someone to the prayer list contact Kaylene at kaylene@pcscomputer.net or call her at (270) 849-4768. Why Have a Safety/Security Team and Proactive Safety Protocols? Safety means taking reasonable measures to make the place(s) where we meet safe and to be ready to respond to various emergencies, whether natural (such as tornado, flooding), accidental (such as fire), medical (such as heart attack, stroke, fall), or secondary to a violent act. 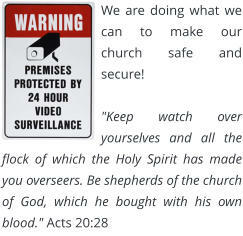 These are several reasons to form a Safety/Security Team or to form proactive safety protocols at church. Contact Mckenzie Hardin, Kaylene Poff, Sam Graham, Josh Veatch or any of the other team members for more information about the Safety/Security Team and to see how you can help. It is NOT a requirement to have a concealed carry license to participate in the program. Thank you for visiting our website. We invite you to visit our church and think you will find our church family very friendly and welcoming. 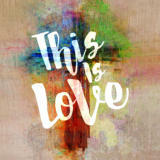 We love God and want our church to be a lighthouse for the community. We video-tape every Morning Worship Service and some of our special services. If you would like a copy of a service, please let Josh England, Sam Graham, or Josh Veatch know. MHBC Podcast of Bro. Billy’s Sermons MHBC now has its own Podcast of Bro. Billy’s sermons! You can now subscribe to the podcast on your smartphone, tablet, and/or computer. • On your smart phone, find your “podcast” icon and click on it. Then do a search for “Muldraugh Hill Baptist Church”, and subscribe to it for future upcoming sermons. Our MHBC members are already using it and listening to the podcast in their cars, and at work. • For your computer, click here: You can also “share” the link with others from the site once you get there. So, please share it with your friends. Click here to listen to Bro. Billy’s Podcast Message.